eBusiness is a multipurpose business template created with Bootstrap framework. You can use the eBusiness theme for all kind of business. Perfectly suits for companies, corporate agencies and for landing pages as well. 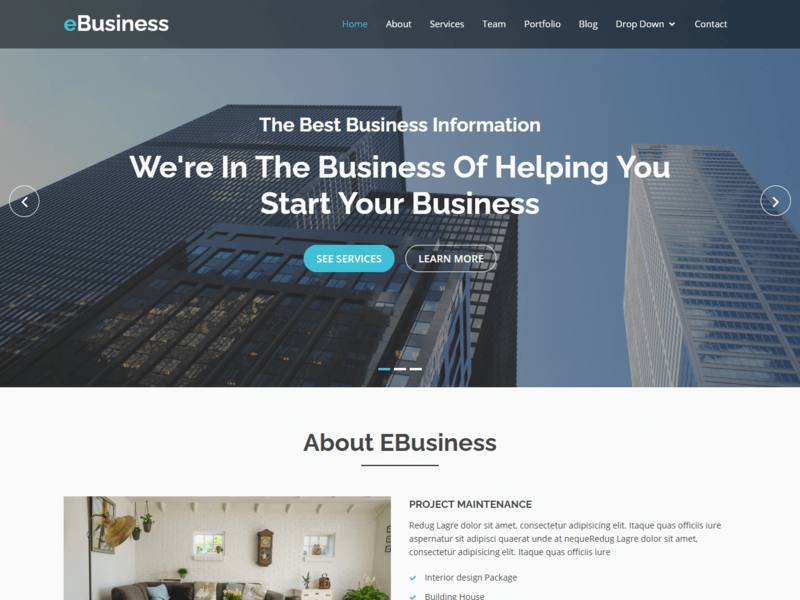 The eBusiness template comes with all basic elements and sections for creating onepage websites such as: “About us”, “Services”, “Pricing”, “Portfolio”, “Team”, “Contact Form” and others. There is also separate template pages for blog homepage and individual blog posts page in case you want to add a blog functionality to your website.